In addition, you can use the calculator to calculate how much you need to repay each month in order to repay your credit card debt by a desired date. But first I explain how to build a plan to become debt free and how to get the most out of the credit card repayment calculator. If you have credit card debt and are still saving you must be mad! You are getting virtually no interest on your savings but paying out huge amounts of interest to your credit card company. You are losing money! Stop now and get your priorities sorted. List the outstanding balance, interest rate and minimum monthly payment for each of your credit cards, with the highest interest rate at the top and lowest at the bottom. Total up your outstanding balances and your minimum monthly payments. Now work hard to get the best rate for your outstanding debt. Research the best 0% balance transfer credit card deals, best long-term deals and talk to your credit card company to try and get the interest rate on your debt as low as possible. If you can switch your debt to a lower rate more of your monthly payments will go towards clearing the capital you owe and not be eaten up by interest charges - which means you will slash the time it takes to eradicate the credit card debt that burdens your life. Remember, always restructure your debt when 0% or short-term deals end. 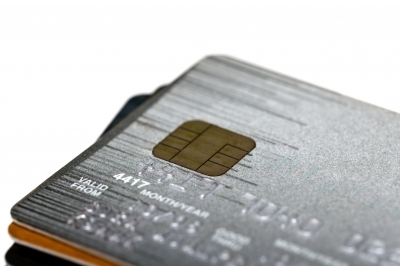 Make sure all your monthly credit card payments are set up on direct debit. Make sure all the direct debits are set up for the minimum monthly payment except the one with highest interest rate. The direct debit for the top interest bearing credit card should be set at the maximum you can afford. If you are serious about ending your credit card nightmare then put every spare penny you've got into clearing this debt fast. 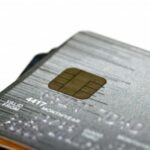 Once you have cleared the balance on the first credit card just repeat the same process on every card down the list until you are free from credit card debt. Repaying your credit card debt will take time. Work out when you will be credit card debt free by using the credit card repayment calculator below and put this date in your diary. Always remain focused on this goal. This way you will never return to the old days of your credit card debt being out of control.